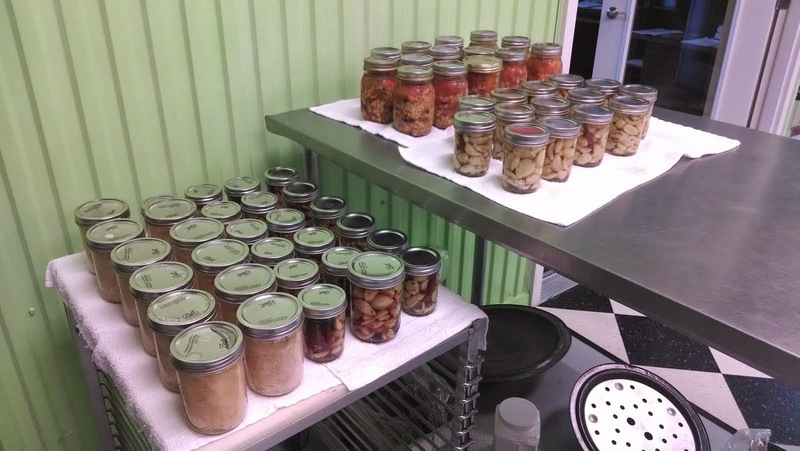 Personal canning with the Canning Diva produced 57 jars in total. 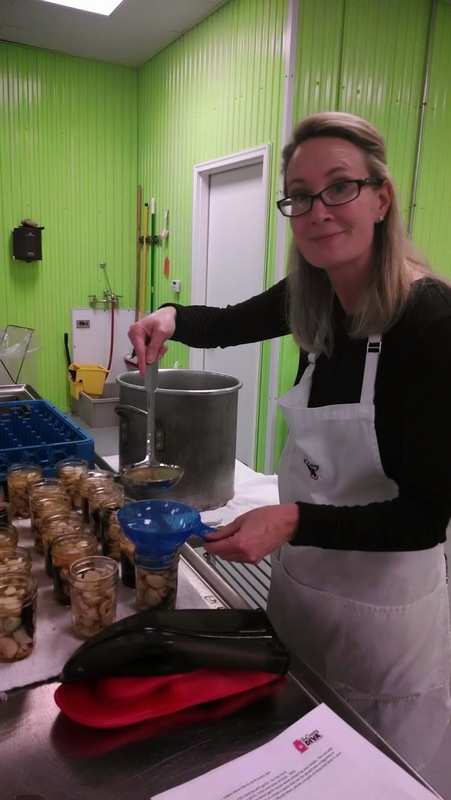 Diane Devereaux did chicken breasts, raw packed in pints, Janet did Mexican soup in pints, and we both did pickled garlic in half-pints. 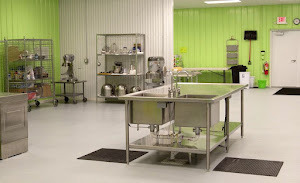 Thanks to Sara of Facility Kitchens for her help!